This topic contains 49 replies, has 6 voices, and was last updated by Woelf 1 week, 5 days ago. Here’s the thread to use for any and all questions about the rules, keywords, abilities, or anything else involving with playing the game. Please post here instead of creating individual threads for each question. Awesome Woelf, thanks for making this! The Master Spreadsheet contains all of the game pieces released, in addition to RtSS and Unreleased stuff – a good reference for anyone wondering what is being discussed. I’ll start things off! Xerecs and I had some questions during the SS 10th anniversary game, and another random question came up during the Podcast last night. Great Turtles say “This island can’t be moved within 2 S of any ships or other islands.” Does this apply when moving the turtle multiple times in the same turn? If I move it within 2S of something but then move it back away during my turn, is that illegal? Basically, does each S movement need to adhere to the 2S limitation, or does it only apply at the end of your turn when you stop moving it? 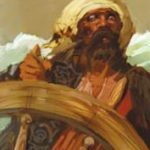 -UTs may be transferred between ships like standard treasure (via an explore action), and may be transferred by abilities and effects that steal, take, or trade treasure, unless an ability specifically prevents them from being unloaded or removed from a ship. -A “transfer” occurs any time cargo is moved from one location to another, whether it is through the use of an explore action, a boarding action, an ability, or any other means. –“Load” and “unload” refer to transfers in a specific direction, either on or off a ship, respectively. To me it seems slightly contradictory, or at least confusing. Can Fruit be transferred between ships, or is that still considered “unloading”? How do you quote text from a reply without manually copying and pasting? A “preview” option would be nice to have too. The restriction is checked separately for each individual movement. As long as they have different conditions and/or effects, they can be stacked. @woelf: Thanks! As of now I don’t think there’s a way to quote someone’s post with a button – it’s something I plan to look into. I had a preview feature installed but it got messy and glitchy, so I deleted that and added code to enable the current Visual editor, which works decently as a preview since you can see what your post will look like as you’re typing it. Can Fruit be transferred between ships, or is that still considered “unloading”? Fruit cannot be transferred. “Transfer” is really just a catch-all term that covers unloading and loading as part of a single action. The distinction between loading and unloading is made mainly because of the handful of abilities that refer specifically to one or the other. When using the Pandora’s Box UT, couldn’t players use that opportunity to place more boxes on the same ship, essentially creating an “infinite loop” of boxes and endless “free” UT’s until a player voluntarily stopped the loop? Technically you could add another Box, but the no-stacking rule would prevent any of the duplicates from generating additional treasures. Can the S-Explorer ability (Once per turn, if this ship is within S of an island, you can mark the island as explored without docking at it. The island becomes unexplored in regards to all other players.) be used by one ship on the same turn that it docks at the island? For example, a ship moves to within S of a wild island, marks it explored before finishing the move action (since it doesn’t specify when it has to occur), and then docks with the final segment to look at the gold/etc. As long as the marker is placed before the ship docks, you can use the free explore. Can Filching Gold or Peter Miles/etc be used after brushing against a canoe without ramming? Canoes are ships, and Peter Miles’s ability only requires the ships to be touching. Ramming is not needed. UTs that don’t automatically remove themselves remain in the game and face up, but they won’t re-trigger unless something in their text specifically allows it, or they get turned face down somehow and revealed again. If the UT’s ability doesn’t prevent it from being unloaded or transferred it can be given away in a boarding or through other things that steal treasures. Is Runes of Death eliminated immediately after the elimination of the final mast or crew on the ship, or must you wait for the effect to trigger at the beginning of your next turn in order to get rid of it? With Message in a Bottle, does the owner of the ship choose where the ship is docked AT the island once your opponent chooses which (tied) island the ship docks at? You should keep posting these at MT until the site actually dies. It’s eliminated immediately if there are no masts AND no crew on the ship. This can happen when the last is removed, or if it transfers to a ship with none. No, the opponent chooses only the island when there’s a tie. You still have control over where specifically the ship becomes docked at that island. This reply was modified 4 months ago by Woelf. I have a question, Does Ruth Lee reduce reduce the cost of Native Canoes? No, because the Chieftain assumes the cost of all the native canoes. The canoes themselves aren’t technically assigned individual point costs. She would decrease the cost of the chieftain crew only, especially because the chieftain is considered crew while the canoes are considered ships and not crew. -From The Pirate Code Page 21. @woelf: The reason I’m posting them here is because I want to preserve as many rules questions as possible. I don’t want to lose even more stuff in case MT disappears or something. I just can’t be incentivized to create content I don’t own when I’ve already lost so much. Thank you for getting me an answer so quickly! Is there any way to transfer the Fruit UT from one friendly ship to another? Nothing comes to mind. It can be destroyed by effects that target cargo or treasure, and it can be converted into a cannon with Carbon Charlie’s ability, but otherwise you’re mostly stuck with it. Flotillas can be explored by other ships. You’d still have to roll for the Maps’ effect before the Flotilla could take an action, and even though it technically can’t move, the block on giving it other actions would still apply. You’d still have to roll for the Maps’ effect before the Flotilla could take an action, and even though it technically can’t move, the block on giving it other actions would still apply. Why? It says “On a result of 5 or 6, the opponent to your right may give this ship a move action. If he or she does, this ship may not be given another action that turn.” If the opponent cannot even give the flotilla a move action, then the flotilla can be given an action that turn. I thought about turning the Fruit into a cannon, but it’s in my Pirate fleet in CG4 so I’d have to get lucky if there’s a custom Pirate crew out there like Carbon Charlie. I suppose it doesn’t have to be mandatory. The maps being technically optional is what throws it off, because there are very few (if any?) situations where it isn’t beneficial for the opponent to give that move action, just to lock out additional actions. This would also apply to derelicts and any other situations where a normal ship couldn’t be given a move action for some reason. I guess I just fundamentally disagree with the ruling. If a move action cannot be given to the target, then anything that happens as a result of that “move action” cannot occur. I don’t think it should matter if the opponent wants to give the target a move action – if they can’t, they can’t. Their will cannot break the rules of the game…. I understand that move actions can be as small as the player wanted, to a fraction of a millimeter just to say they moved. But if something CAN’T be given a move action, there is no action to give in the first place and thus no following effects can happen that rely on the move action itself. I feel like interpreting the part that says “the opponent to your right may give this ship a move action” meaning that they can give the ship a “move action” regardless of whether or not they should be able to, supersedes whether or not the target can be given a move action. In this case, like cancelling the Flotilla keyword and pretending that it has moved on its own somehow. I meant that that Maps’ effect doesn’t have to be mandatory. If the ship can’t move for some reason, the rest of the effect is ignored. I was commenting more on the fact that it’s an optional effect where there’s no reason to not take the option if you can. If a crew with Black Mark activated is transferred to a ship of his original nationality, does that ship become Cursed? If the crew goes to a Cursed ship, can he use his abilities normally? Can a crew copy Black Mark or does it have no effect since it’s a start of play ability? I’m pretty sure Black Mark is only a set up ability. Aw man, the SAC/Devil’s Maw combo isn’t legal anymore? What a shame, that was a really awesome technique I was planning on using. Same with sac’ing Ransom crew, I guess I’ll either not use them or figure out how to make them more useful. I do have a question about cost reducers like Zuan. If he reduces crew cost, why can’t he reduce build total cost as well? I don’t understand his appeal otherwise- the amount of times a crew selection would go over a ship’s cost shouldn’t be happening that often and even then he’s not guaranteed to do much, so why does he even exist? The crew remains Cursed (+1 cost) and would need to be transferred to a Cursed ship to keep using its abilities (it doesn’t convert the new ship). The ship they started on would revert back to normal when the crew left. Copying BM won’t do anything because the effect is determined at setup. All of those were made illegal shortly after they first appeared (the rulings are by no means recent). They all created situations that were extremely easy to abuse or flat-out broke the game. Woelf, let’s say I load Ghostly Encounter on a ship with one crew, and I roll for its effect then. Can I transfer Encounter to a ship with a whole lot of crew and use that ship to dump Encounter on the HI without risking any crew?